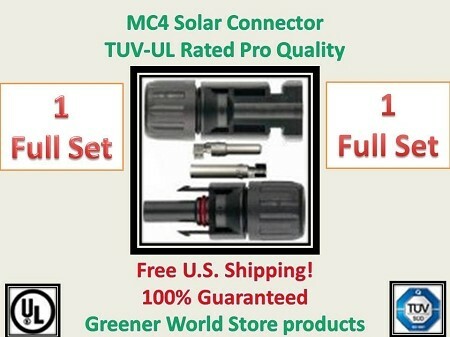 MC4 Solar Power PV Connectors GreenerWorldStore.com offers FREE SHIPPING on this product to home or business. 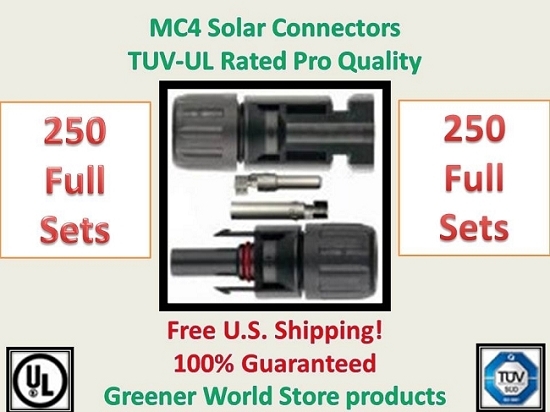 MC4 lock in connectors transfer solar power efficiently. Use code "newvip" at checkout for additional Thank You Bonus! 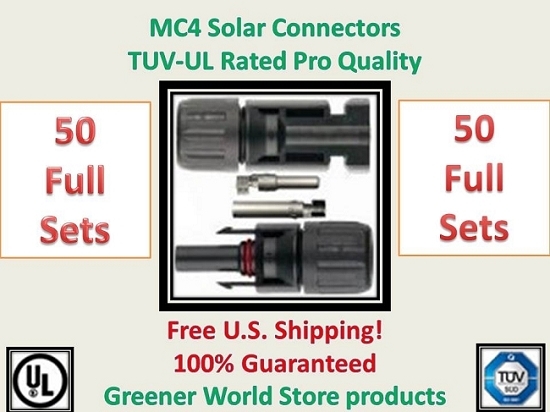 GreenerWorldStore Solar PV Modules System Wiring Installation Supply. Solar PV Modules MC4 MC3 Extension Cables - Bulk Solar PV Cable Connectors - Bulk Solar PV Cable 6awg 8awg 10awg 12awg any length needed. 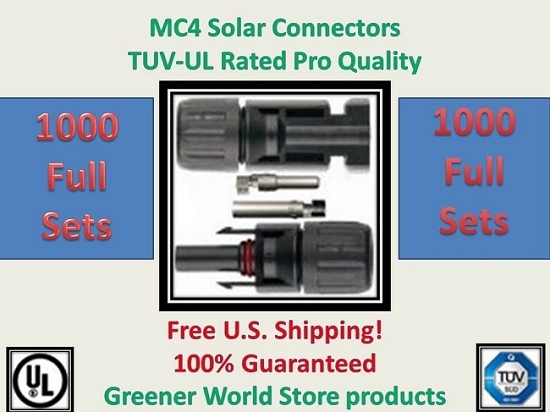 FREE SHIPPING to US and Territories. Shipping to Canada - Mexico - other Countries. E-mail us for very reasonable rates. 1. Upfront transparent pricing is our standard. Located in the USA established 2001.
Business owners/managers: we offer special rates for resale and internal use. Special rate consideration for US government projects, federal, state, forest service, park service, universities, non-profits, and others.